This is a sponsored post written by me on behalf of brēth. All opinions are mine alone. Smart home technology has revolutionized our world in recent years. 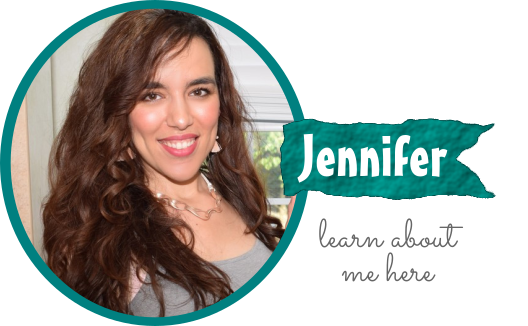 Today I’ll be sharing some of my favorite must-have gadgets that will improve your home and your lifestyle. 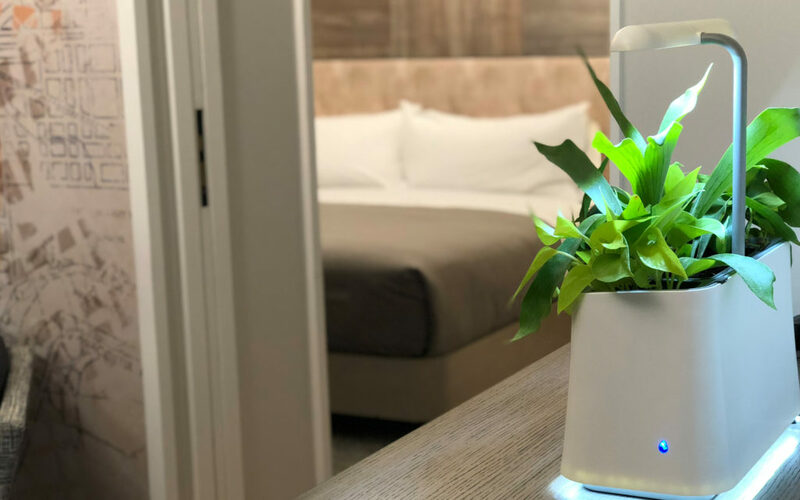 From a smart doorbell to a smart air purifier to a smart speaker, let’s talk about how technology can both streamline & simplify our everyday life. With a smart thermostat, keeping my home at a comfortable temperature has never been easier. 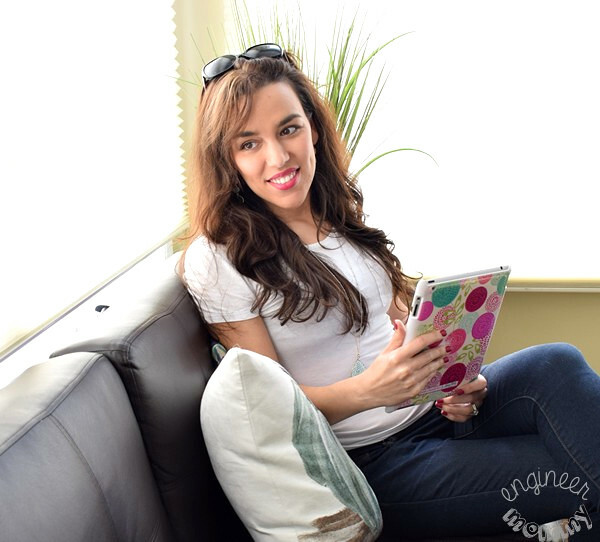 I can use the app on my smartphone to create schedules based on my weekday routine. Plus, with the Geo feature, the app on my phone can detect whether I am close to home or away from home (I can set the distance in miles). Thanks to this technology, when I’m near home, my thermostat remains in the “Home” setting. When the app senses I’m farther away, the thermostat switches to the “Away” setting, adjusting the set temperature to save money. 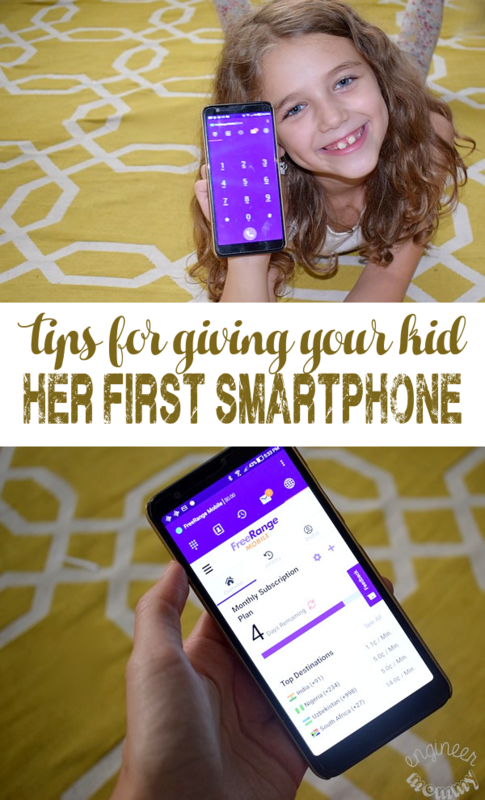 Talk about technology that makes life easier! Did you know the vast majority of Americans spend their time indoors? Did you also know that indoor air is often more concentrated in pollutants – and thus more harmful to one’s health – than outdoor air? So taking steps to improve indoor air quality is essential. 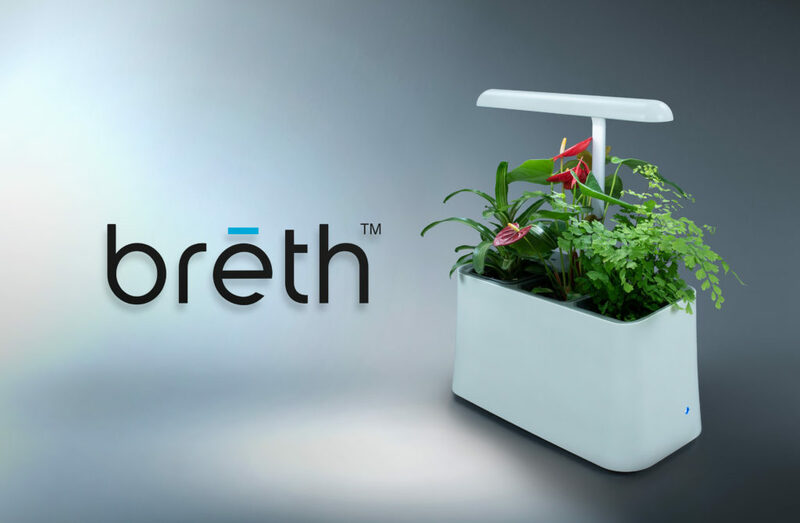 That’s where brēth comes in – it’s both an air purifier and a gorgeous indoor planter! In fact, it can purify the air in a 10×10 ft room more than 4x per day. Pretty impressive, right? I love the simple, elegant look of the brēth unit. Not only is it a modern addition to any home or office, it’s also packed with smart technology to purify your air conveniently & efficiently. How does it work? Well, it simply feeds the plants the toxins from the air. The plants absorb these toxins, using it as fertilizer to grow stronger, and then emit fresh clean air. 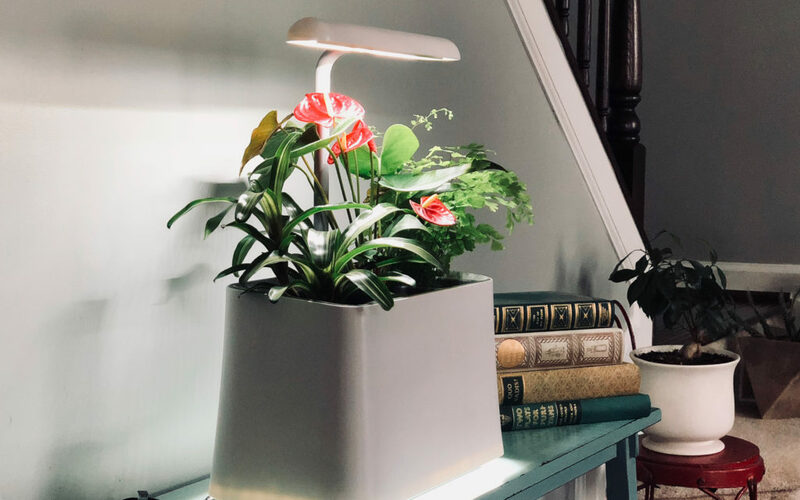 While a typical house plant is passive, the brēth unit uses a fan to actively capture indoor airflow and deliver it to the plants. Thanks to the patented technology, a single brēth unit offers the bacteria-cleaning power of approximately 200 houseplants! That is an awesome stat! In fact, research has shown that the unit is capable of removing at least 70% of air toxins with a single pass through the unit! I love that the brēth unit syncs with a smartphone app, so the app will notify me when the unit needs extra watering (the reservoir holds about 10 days of water). No more under or over-watering! Plus, the built-in light (it helps the plants grow) automatically turns on/off every 12 hours or with a custom timer. On the app, it’s possible to see exactly how much air is being purified at any given time. This technology was originally developed in 2013, but the tabletop unit was first designed in 2017. 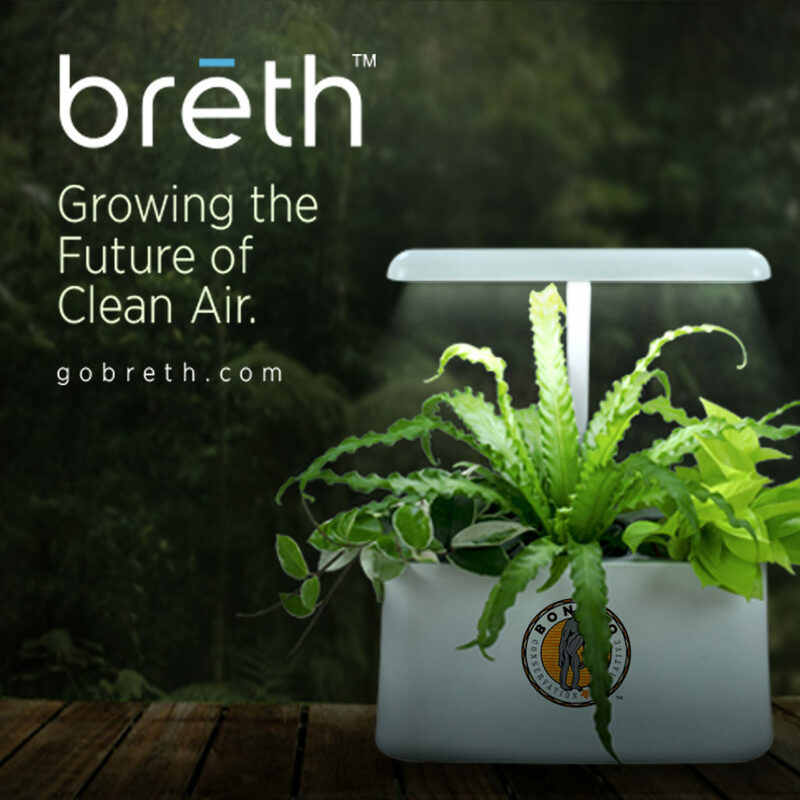 Founded by Ray Greenstreet and Mark Prescott, brēth takes advantage of the photosynthesis and bacteria-cleaning processes in plants. brēth is currently holding a Kickstarter campaign to be able to offer this technology to the masses and there’s only one week left. Click here and consider backing this project to experience the power of brēth for yourself. You can choose any one of three varieties: Green & Pure (high performance combo), Garden Bloom (flowering houseplant combo) and Exotic Trio (adventurous combo). Also, I love that brēth gives back to the community. In fact, brēth has partnered with the Bonobo Conservation Initiative. This means that 5% of proceeds go to support the BCI. So are you ready to improve your indoor air quality with this self-sustaining planter that is easy to maintain? This brēth unit will naturally purify your air, while adding a beautiful soft glow & stunning design to your space. You can control it from your phone and choose from nine health-giving plants. Breathing clean air has never been easier! Visit their Kickstarter campaign here to support this project. 3. 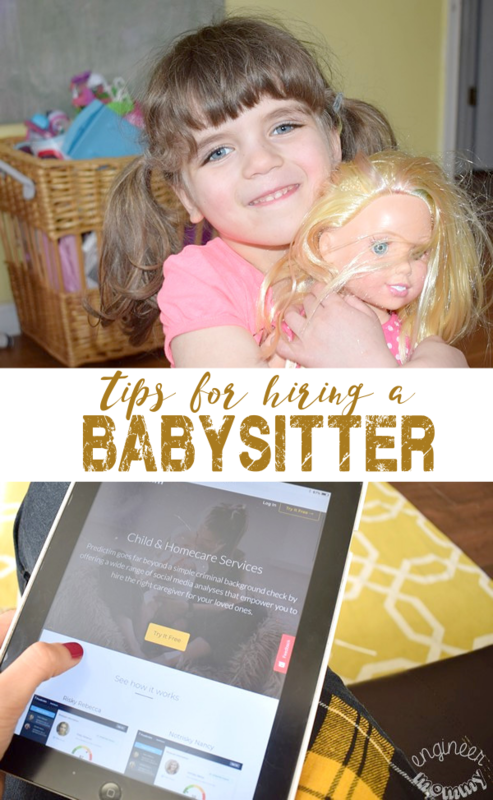 See who’s at your door… from anywhere! My smart doorbell senses whenever there is motion near my front door and sends a push notification to my phone. If the guest rings the bell, I can use the live camera & microphone to have a real-time conversation with the guest. Whether I’m at home (and just want to see who is ringing the bell) or I’m on vacation hundreds of miles away, I love the feature of being able to keep tabs on who’s at my door. 4. Automatically monitor for water leaks! The water leak detector I installed in our laundry room (this room houses our water heater, washer & dryer) senses potential water leaks or freezing water conditions 24/7. If it senses either one, it sends a direct notification to my phone. This gives me peace of mind, knowing that the room in my house with the greatest number of water appliances is continuously being monitored. If this device ever senses a leak, I can take immediate action, such as shutting off the main water supply to the house and/or calling the water company. 5. Enjoy the convenience of a digital assistant with a smart speaker! My smart speaker has definitely made life easier. It truly serves as a digital assistant for everyday tasks. When I’m cooking, I can simply ask for quantity conversions or request recipe suggestions. When I’m getting ready to head out, I can ask for the day’s weather forecast. When I walk into a room, I can ask the speaker to turn on the linked lamps. My smart speaker has definitely been my trusty assistant. Don’t forget to check out the brēth unit to add a smart air purification device to your space. 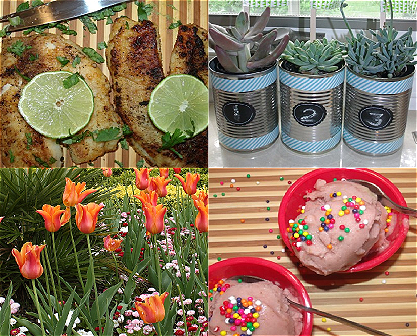 Do you have any of these gadgets in your home? How has technology made your life easier? My husband is the gadget person so will show him this post and let him decide if it is something he would like to have. Me not so much, I loose the remote all the time. That is an interesting air purifier! I would have never thought to do something like these before but it makes sense because that is what plants so outside too. With the dgs we have I would love to have that doorbell so the postman could ring it when he drops off packages and I would know there under the Carport as there have been nights I didn’t know packages was dropped off and they was out all night. I was lucky someone didn’t take them. I need Breth in my life!! I am always amazed at the new technology they come up with to make our lives easier. What some great ideas I have to admit since we changed to a HIVE for heating we’ve saved so much money and that air purifier looks really interesting! I would definitely check that out myself. That is a cool and very clever air purifier I have ever seen. Not only it works really well it also a great decor at home. My husband will be thrilled once i show this to him. Wow, every home should have this! I love that it involves plant, how brilliant this concept is. I love smart technology and I’m super impressed with that air purifier. We need a lot of that! It’s so cool and very useful. One thing I never think about is the air we breatthe but it is so important. I will look into that system for my home. The breth unit sounds like it would be perfect for my home. I have to look into getting one. I am very much into this idea of Breth. I’m going to go and check out the kick starter. Thank you, I hadn’t heard of this before. There are just so many gadgets now out there. Thanks so much for culling them down to these few that would really make a difference. That breth unit sounds interesting! I just moved into a small apartment and would love to try one for myself!! Wow – the breth is one nifty little unit, I must say. It’s so sleek and modern-looking. I would totally love to give this a gift to some of my family members over the holidays! I am not a techie person and this is my first time to learn about this product and reading your post makes me interested on this. Probably a great item to put in our home. That is one awesome looking product. I will have to check more in to it. I think we could really use that around our home too. Breth sounds cool and essential. Love to have one for my home too. There are so many good tech gadgets for the home. I am hoping to get smart outlets for all the bedroom lights in the house, one by one. I can definitely live with this unit at home especially if it means fresh air around the house. I love the fact that it has a plant as well. This is something new but worth getting! Hi Sofia. At the bottom of one of those emails, you should be able to find an unsubscribe button. You should be able to unsubscribe from comment notifications. Let me know if you’re still having trouble with this.